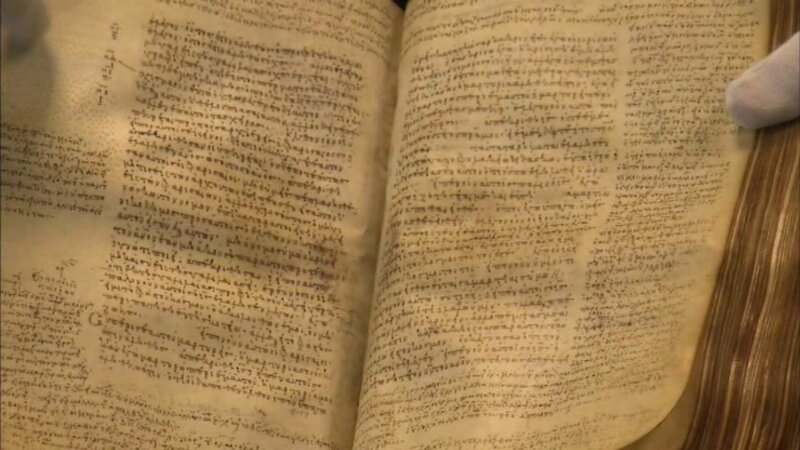 CHICAGO (WLS) -- A rare Greek manuscript of the New Testament that was being held in Chicago is heading back to Greece. Leaders at the Lutheran School of Theology at Chicago returned the manuscript to the Greek Orthodox Holy Metropolis of Drama. His Eminence Archbishop Demetrios of America was in Chicago to receive the manuscript. The manuscript was written in the 9th Century and is one of only 60 manuscripts in the world to have the entire New Testament.